dori the giant: Pierced plant. 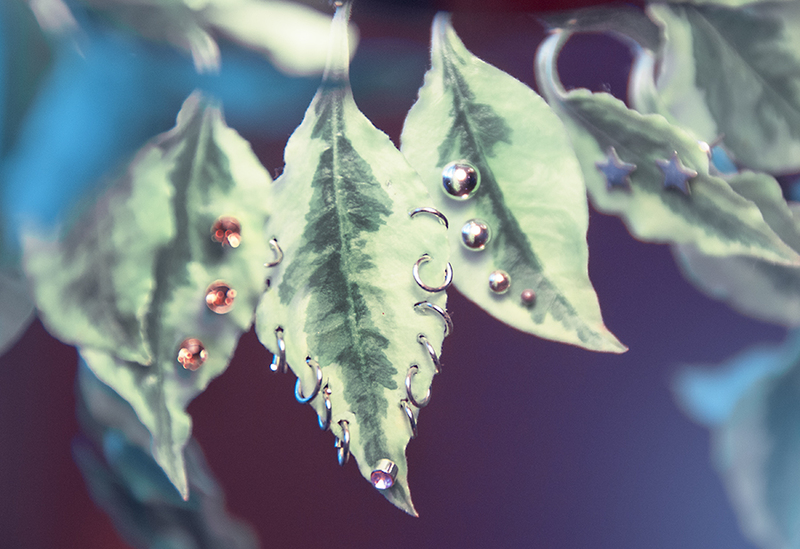 I gave my friend's plant a piercing a few months ago, so I decided to bejewel mine as well. Isn't it so pretty? I wonder if it'll be okay. Is this plant cruelty?